Norwegian literature is gaining popularity internationally, and there are exciting times ahead. One of the highlights is that Norway has been selected to be the Guest of Honour at the 2019 Frankfurt Book Fair, which is the world’s largest, most important book fair. In her capacity as an ambassador for Norwegian literature the Crown Princess will participate in key events in connection with the Norwegian Guest of Honour project for the book fair in Frankfurt. “I am proud and pleased to serve as an ambassador for Norwegian literature in the process towards Frankfurt 2019. As we all know, Norwegian literature has won more space on international bookshelves in recent years,” said the Crown Princess in her speech to representatives of the Norwegian literature industry and other areas of the cultural sphere gathered at Sentralen centre in Oslo today. I am proud and pleased to serve as an ambassador for Norwegian literature in the process towards Frankfurt 2019. The organisation Norwegian Literature Abroad (NORLA) has brought together 250 of Norway’s most important stakeholders at its Planning and Input Conference – Frankfurt 2019. The conference marks the start of the process towards Frankfurt 2019. NORLA is responsible for carrying out the Norwegian Guest of Honour project. The Director of the Frankfurt Book Fair, Juergen Boos, also attended the conference. The Frankfurt Book Fair is the world’s largest, most prestigious book fair. It is an extra bonus for Norway that the fair is held in Germany, which for years has been a door-opener for Norwegian literature to the rest of the world. The fair attracts some 300 000 visitors each year. The role of the Crown Princess in promoting Norwegian literature will have an international framework, and will extend beyond 2019. 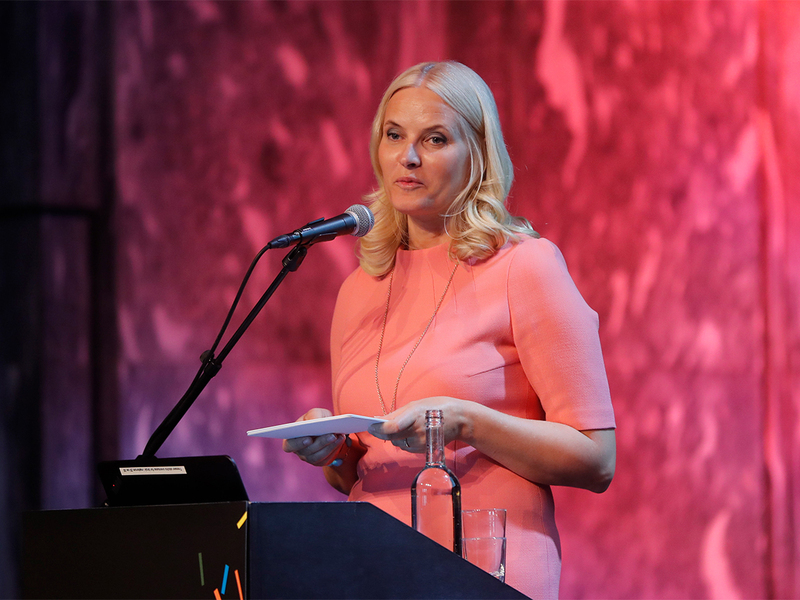 The Norwegian Government and NORLA believe that Crown Princess Mette-Marit’s dedication to literature enables her to make an important contribution to further strengthening the position of Norwegian literature abroad. For many years the Crown Princess has demonstrated a strong personal commitment to literature and to encouraging greater interest in reading, particularly among children and young people. What would England be without Shakespeare? What would Germany be without Goethe? What would Norway be without Ibsen?